Creation workshop organized by the City of Gennevilliers as part of a day discovery of the city. Installed in one of the parks of Gennevilliers, a mother and her daughters build a cardboard bus before going to the next stage. / © Gaël Dupret – Photo made in silver with Leica CL and digitized. 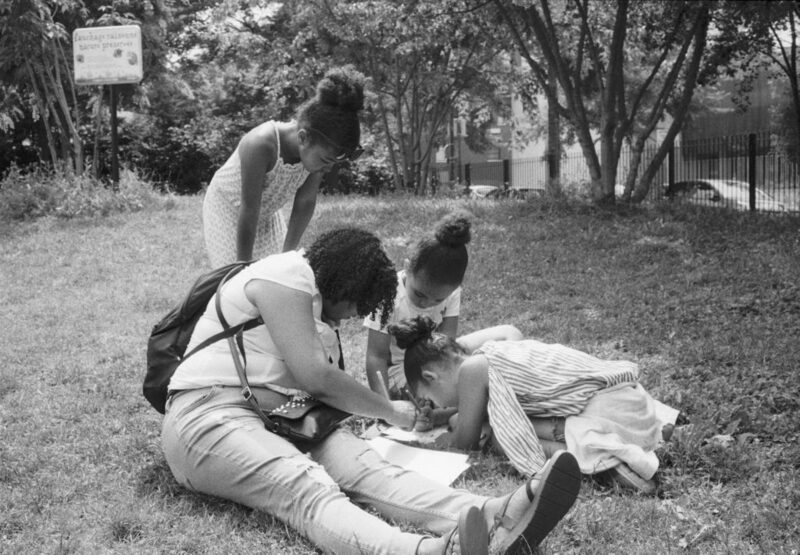 This is the photographic work of the project “The city side women” (“La Ville côté Femmes”) that entrusted me the association Les Urbain.es to put in the picture the women of Gennevilliers and to valorize their place in the urban space. Started in May 2018, my photographic work must be delivered no later than July 31, 2019. It will be used to illustrate the comments for the book of synthesis as well as the photo book and the various photo exhibitions planned. 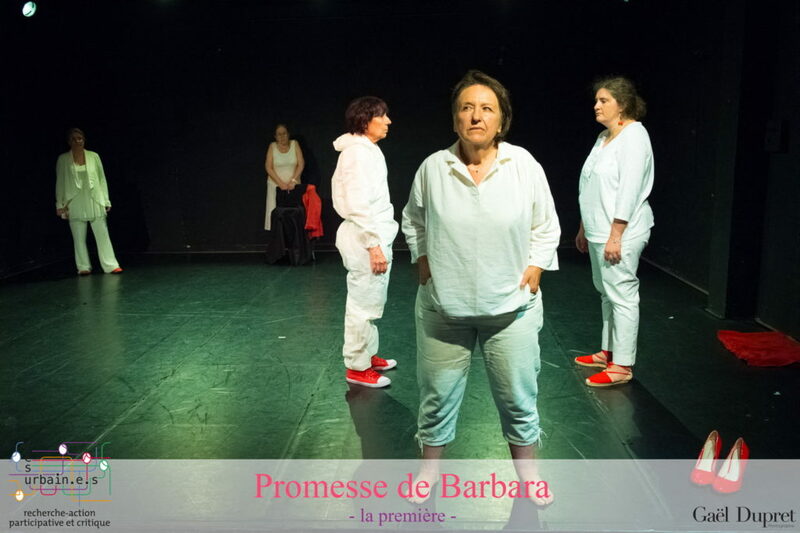 Barbara’s Promise (Promesse de Barbara) is the first part of my job. It is a play written and performed by the women of the workshop L’Urbain.e.s, directed by Damien LABRUYERE. I attended 3 rehearsals to inspire me with the atmosphere of the room but also to see the script and I made the photos during the general. It is the association law 1091 mandated by the City of Gennevilliers which directs the various works of the research-action participative program, coordinated by Corinne LUXEMBOURG, Mistress of conferences in geography and landscape. Corinne chose me by discovering my work on the project RED for Executive Women®.